July 8, 2017 By Chelsey 2 Comments This post may contain affiliate links. Read my disclosure policy here. Rollin’ out another busy bag for you guys! I have been working on these parking lot series for the different types of transportation. 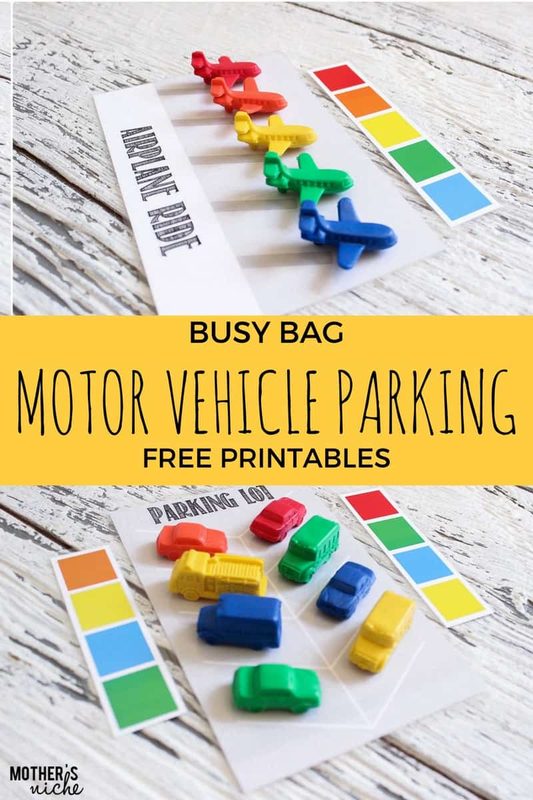 The idea came from a kind blog follower who had printed the last transportation busy bag where your kids sort whether the vehicle belongs in the air, on the land, or the sea. You can use these games as a sorting game, color organizing and following verbal directions. My 4-year-old isn’t someone who appreciates much in the organization category. He hates cleaning anything and everything. So, when I introduced him to this game I didn’t know what to expect. But I tell you what, he loved this game. 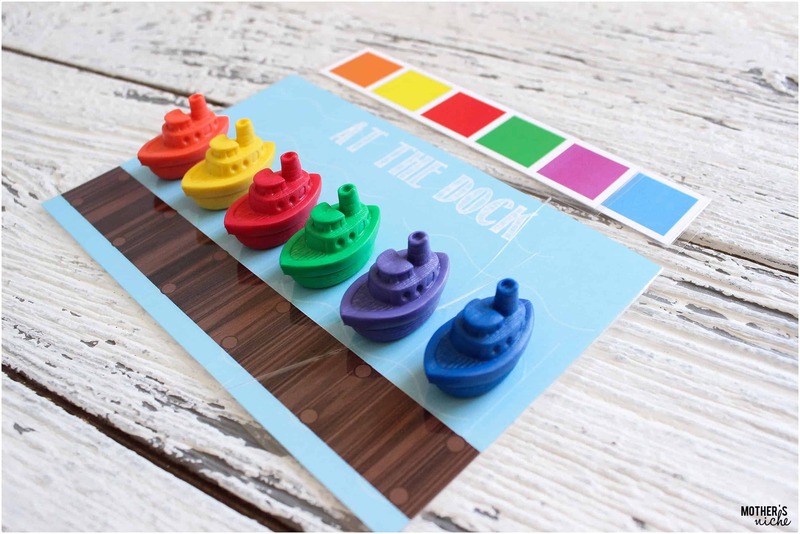 First we used the color strips to place the boats in order. He loved this. We went through all the different mats with the strips, then I used verbal directions like “place the green boat in the fourth place”, “put the orange boat first in line” etc… It was a big success. 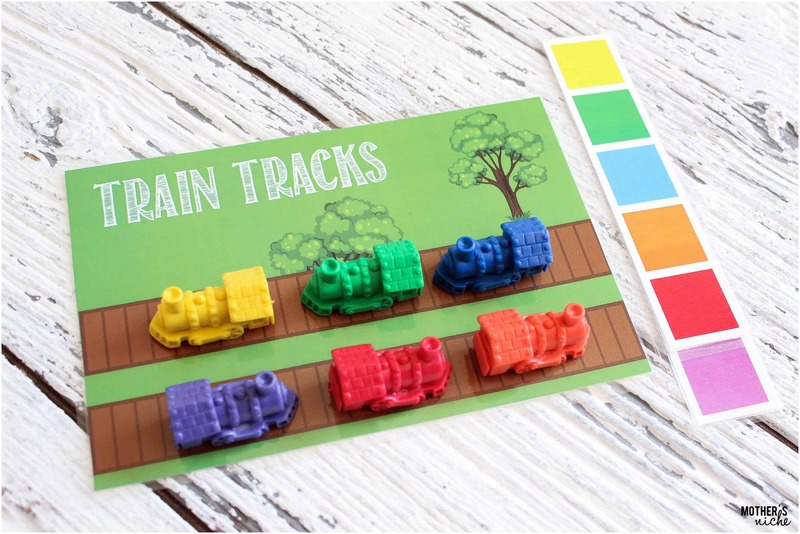 You can practice colors, sorting, numbers, ordering and vocabulary of all the different kinds of vehicles; perfect for preschoolers. I hope you have as much fun as we did. I got my MINI MOTOR COUNTERS here. I hope you have fun playing with this busy bag with your little ones. What should I make for the next busy bags? I know you all have great ideas and your children have different interests than my own children. I would love to hear your ideas. Which busy bag has been YOUR child’s favorite?! Share in the comments. « Open House Tips + 5 Sure Ways to Sell Your Home Yourself…Fast! Thank you so much for these fabulous busy bag printables. They are creative, engaging and exactly what i need for my 3 year old who has cut out his naps. My kids are loving your busy bags. Thank you so much for them. My two youngest play while I teach the older two. And when the older two are done with school work they can’t wait to join in playing. As for other ideas, how about a zoo? With cages for each zoo animal.